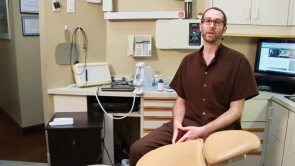 Holistic Dentist Dr. Michael Schecter from Schecterdental.com discusses children’s oral health. Dr. Schecter advises bringing your child into the dentist early, this way they can develop positive dental experiences. A Canary (laser wand) can evaluate children’s teeth and detect cavities without radiation. Early detection is important to determine whether preventative measures are needed. Diet is also important in dental health of your children. Maintain an alkaline diet, avoid processed foods and heavy carbohydrates. Iodine varnish and ozone oil are also important tools your dentist can use to maintain your child’s oral health.